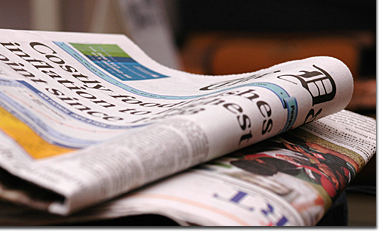 "Investigación & Marketing" magazine publishs a column of José María Cuende (30/09/2015). MÉTRICOOH will be presented at Pan African Media Research Conference of PAMRO (17/08/2015). New column of José María Cuende at "Investigación & Marketing" magazine (30/06/2015). CUENDE Infometrics exhibitor at 56th FEPE International Congress (1/04/2015). Métricooh in Spanish Magazine "Anuncios" (20/01/2015). José María Cuende wrote about Big Data and their chalenges to Market research industry. MÉTRICOOH will be presented at Pan African Media Research Conference of PAMRO (17/08/2015. In the past few years, methodologies for measuring Out of Home (OOH) media have been rapidly evolving. Delegates at the 16th Pamro Media Research Conference conference taking place in Dar-es -Salaam from 23 – 26 August will have the chance to keep abreast of the latest developments in OOH metrics and ratings. Daniel Cuende, the co-founder and Innovation Manager of CUENDE Infometrics will talk about Metricooh, the worldwide OOH ratings system based on satellite imagery and Big Data from city traffic flows. Cuende plans, in his presentation, to show how OOH audience metric helps to sell to advertisers and media agencies, and how a new paradigm is necessary in Out of Home research. He will discuss how technology made possible a much fresher and affordable audience measurement system for OOH. Joining Cuende in the session on the last day of the conference is Lyn Jones, Group Marketing Manager of Continental Outdoor Media South Africa, who will talk about outdoor advertising being a key ingredient for most marketers in their marketing mix. She believes that very little focus is placed on the determination of its impact and value is placed on the determination of its impact and value as part of an integrated campaign. Jones will showcase ground-breaking methodologies being used to produce OOH metrics and ratings in South Africa by the Out of Home Measurement Council and by her company in other African countries. Among the many other African and international speakers, media research professionals can also expect to listen speakers from UAE, Norway, SA, USA, UK, Kenya, Nigeria, Sweden, Czech Republic. More information via the Pamro website. "Investigación & Marketing" magazine publishs a new column ofJosé María Cuende, CEO of CUENDE Infometrics, that can be consulted here. CUENDE Infometrics exhibitor at 56th FEPE International Congress (01/04/2015). The 56th FEPE Congress, titled "Your Audience is Waiting", will be held between Wednesday June 10th and Friday June 12th at the Intercontinental Hotel, Budapest. There will be 2 full days of presentations and speakers from across the world, that will be bring their unique viewpoints on the Out of Home industry. Last year's congress in Vienna was attended by over 300 delegates from 31 countries. CUENDE Infometrics will have a stand in the exhibitor area, showing MÉTRICOOH OOH ratings service. We hope to see you at FEPE International Congress. Article of José María Cuende at "Investigación & Marketing" magazine (30/03/2015). José María Cuende wrote about succes of a marginal showoman and maginal ideas and concepts. Métricooh in Spanish Magazine "Anuncios" (01/20/2015). 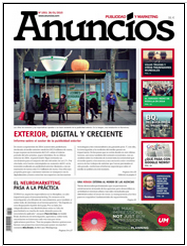 The Spanish Magazine "Anuncios", specilizated in advertising and marketing, dedicated a report at Out-of-Home. The article pointed as digitalization is improving measurement initiatives and affirms theat "In research and measurement OoH environment , the best news is that has born within a Spanish company with a view to export". The report continous explaining Métricooh the worldwide Out-of-Home ratings system based on Satellite images and Big Data from city traffic flows, developed by CUENDE Infometrics. The report counts with the analysis of María Jesús Solaún (JCDecaux), Eduardo Ballesteros (Clear Channel), Antonio Morales (Cemusa) and Jorge Cabré (Publicidad Atlantis). You can download the complete article.